The Peak District is reputedly the 2nd most visited National Park after Mount Fuji in Japan which is quite an impressive accolade. Whilst the national park has no mountains of the stature of Mount Fuji it can boast some impressive hills, moors, outcrops, and gritstone edges with many having different characteristics, some being in the bleak gritstone moorland of the Dark Peak whilst others nestle into the beautiful scenic limestone country of the White Peak. 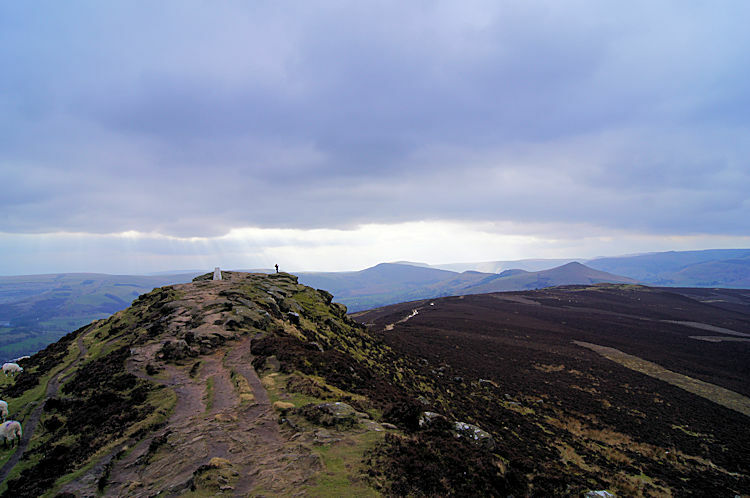 Many of the high places conjure up thoughts and fancies for visitors to the area such as the rock outcrops of the Roaches and Stanage Edge while others have appealing profiles like Chrome Hill, Parkhouse Hill, Win Hill and Mam Tor. There is more contrast too for the higher ones like Kinder Scout and Bleaklow are on extensive moorland plateaus. Yet another subtle difference. It would make for a fascinating and diverse challenge to bag all the high spots in this list, 27 in all, for when the list has been ticked off you will have walked in many different environments and seen many interesting places. 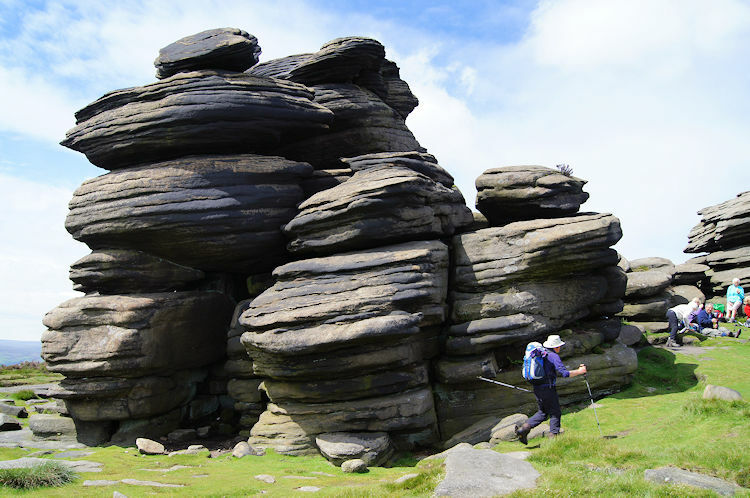 So get out the walking gear, set your sights on the challenge, mark out your routes and planned itinerary to bag the highest places in the Peak District. You will love it. Kinder Scout is a moorland plateau in the Dark Peak. 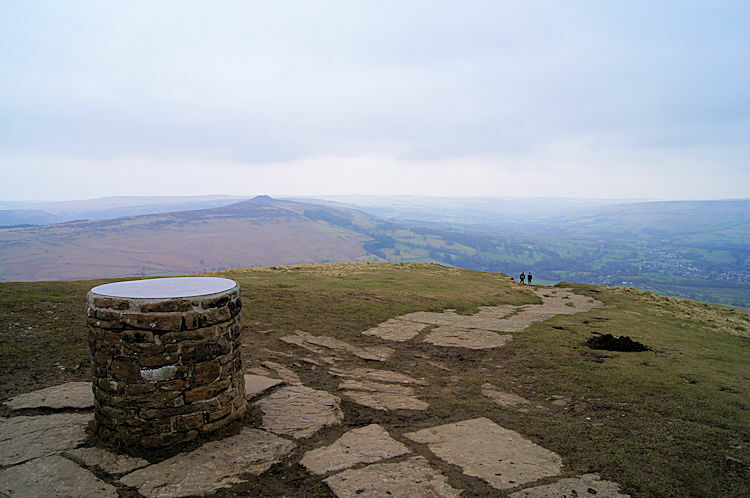 Most famous for the famous mass trespass by ramblers who had previously been denied access to to open country this highest point in the Peak District is still a major draw to walkers. 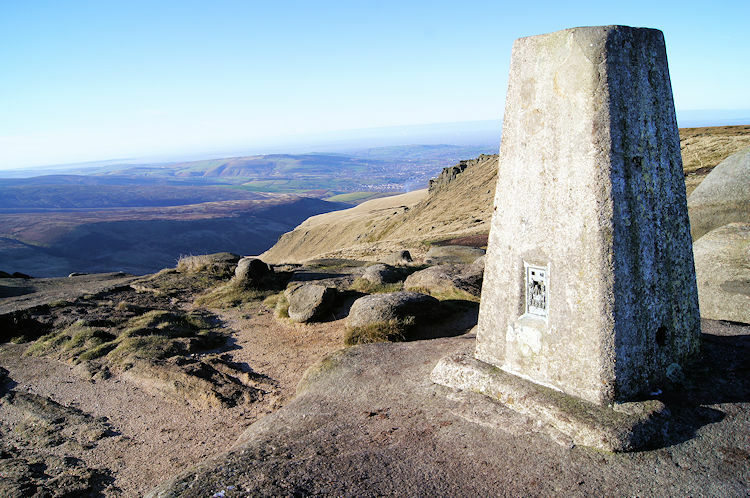 The most popular way to Kinder Scout is from Edale. When on top and in clear weather conditions Manchester can be seen as well as the highest mountains of Snowdonia. Try this walk. 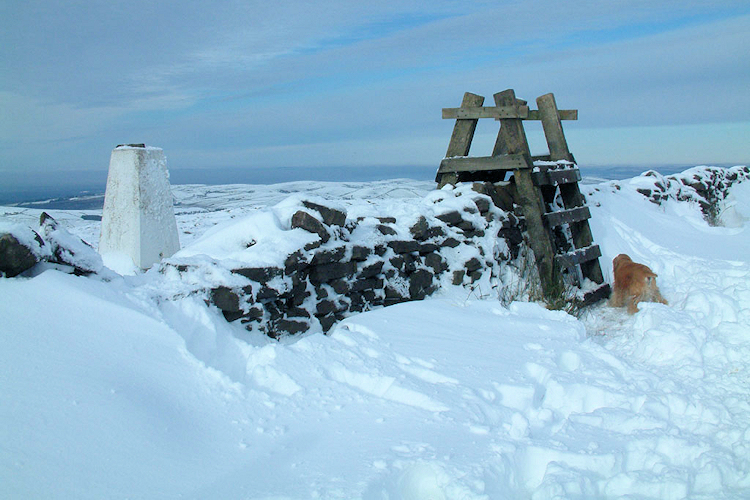 Bleaklow Head, the high point at the western side of an extensive gritstone moor is a Hewitt and is crossed by the Pennine Way. 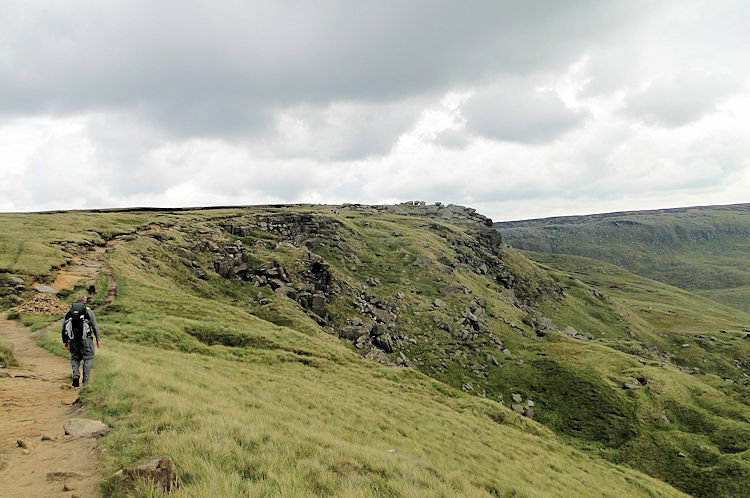 It is one of three summits on this plateau above 2,000 feet, the others being Bleaklow Stones, some 1.9 miles to the east along an indefinite ridge, and Higher Shelf Stones, 0.9 miles south of Bleaklow Head. Bleaklow includes the most easterly point in the British Isles over 2,000 feet. Try this walk. Grindslow Knoll is the high point at the western side of Grindsbrook Clough that looks across to the Nab on the east. 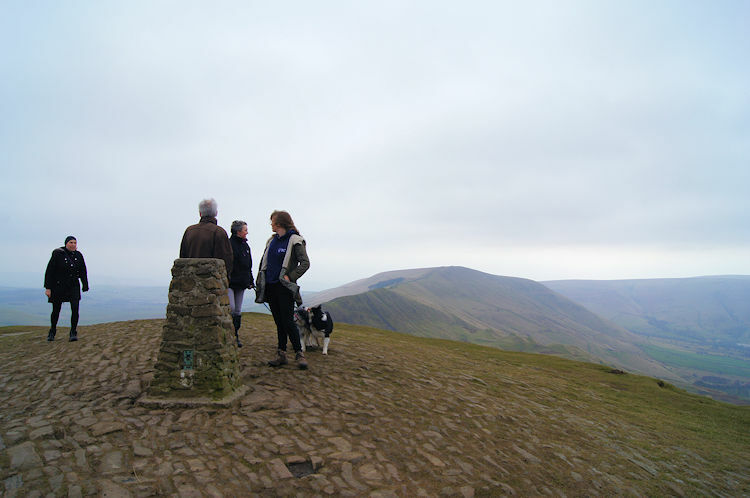 As with Kinder Scout the most popular way to get to Grindslow Knoll is from Edale via Grindslow House. To complete a good round walk continue to Fox Holes, Upper Tor and Ringing Roger before descenbding from the moor via the Nab back to Edale. Try this walk. Black Hill is peaty and boggy after rain. The area had virtually no vegetation and was dark, giving the hill its name but recent plant regeneration has improved things. 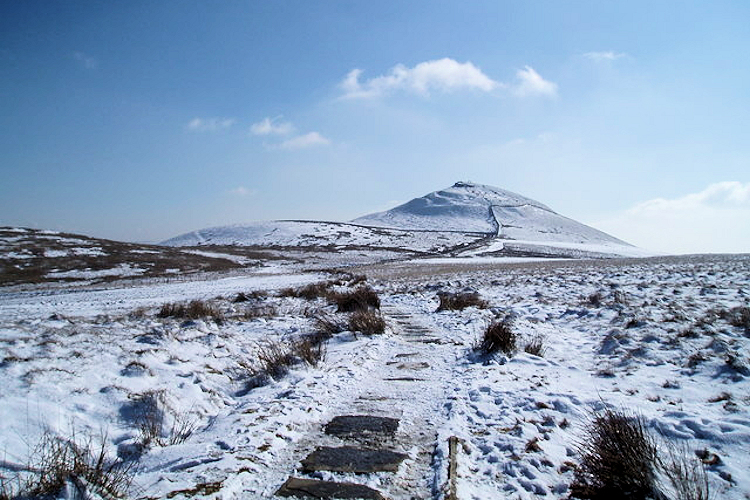 Black Hill is on the Pennine Way and its paved surface allows walkers to reach the top dry-shod even in wet weather. 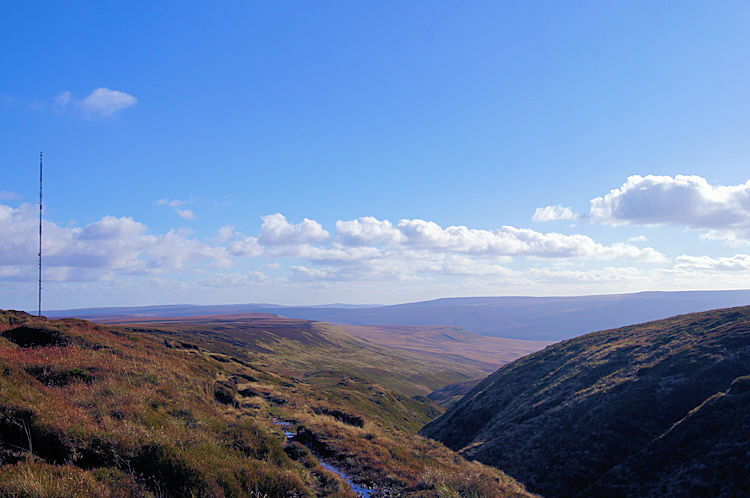 The hill can be visited by several routes, including from Crowden with a return which can be made over Westend Moss to create a pleasant circular walk. Try this walk. High Stones is the highest point within the boundaries of Sheffield City Council. It lies on the Howden Moors in South Yorkshire, England towards the northern boundary of the Peak District National Park, between Langsett Reservoir to the north east and Howden Reservoir to the south west. The cairn at High Stones being something over two feet tall means that the top of the cairn is just over 1800ft above sea level. 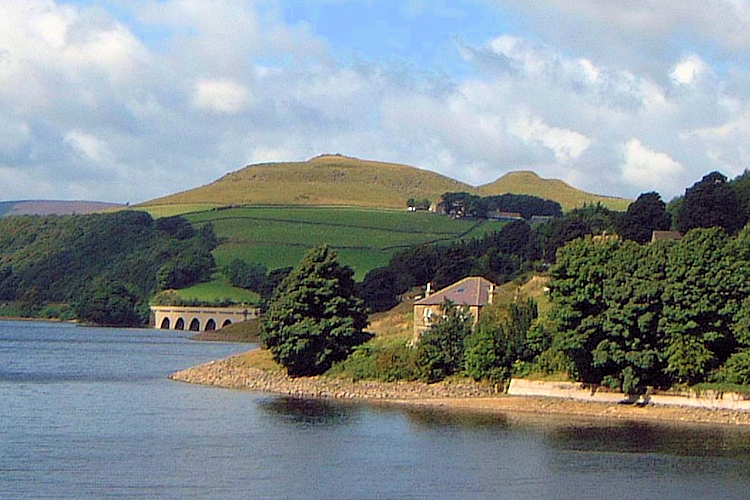 Margery Hill lies between Langsett Reservoir to the northeast and Howden Reservoir to the southwest. The summit cairn has been identified as a Bronze Age burial mound aqnd thus the area has been designated a Scheduled Ancient Monument by English Heritage. Margery Hill is the highest marked point within the boundaries of Sheffield. The land rises slightly to 548 metres to the south, near High Stones. 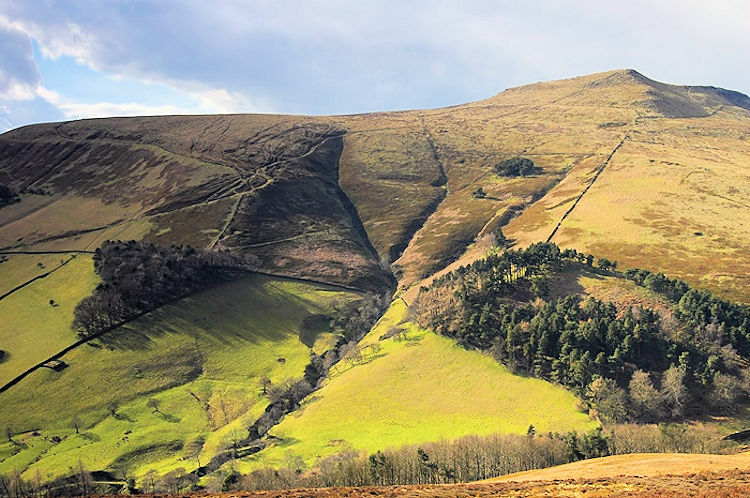 Lord's Seat is the highest point on Rushup Edge, a ridge in the Derbyshire Peak District of England that forms the natural barrier between the Hope and Edale valleys. 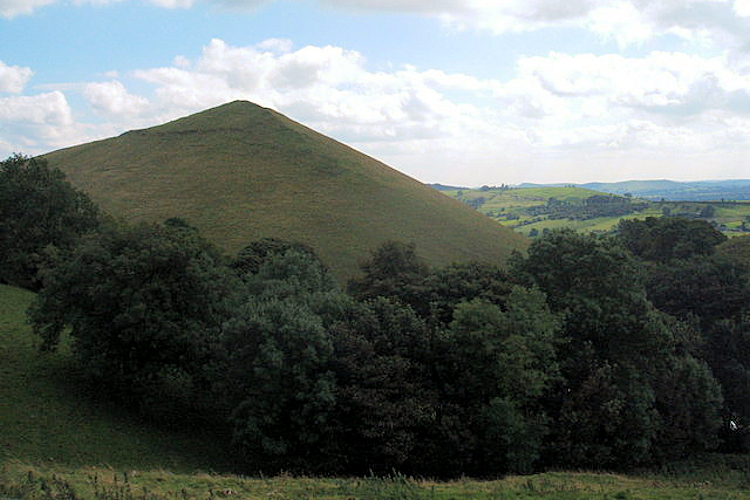 The ridge forms the western end of the longer ridge to Mam Tor and Lose Hill. 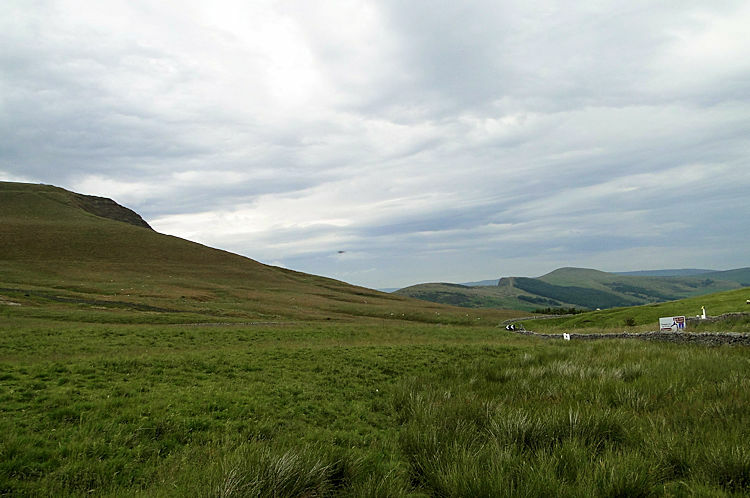 Lord's Seat is an ideal viewpoint for looking across the Upper Edale valley to Kinder Scout. 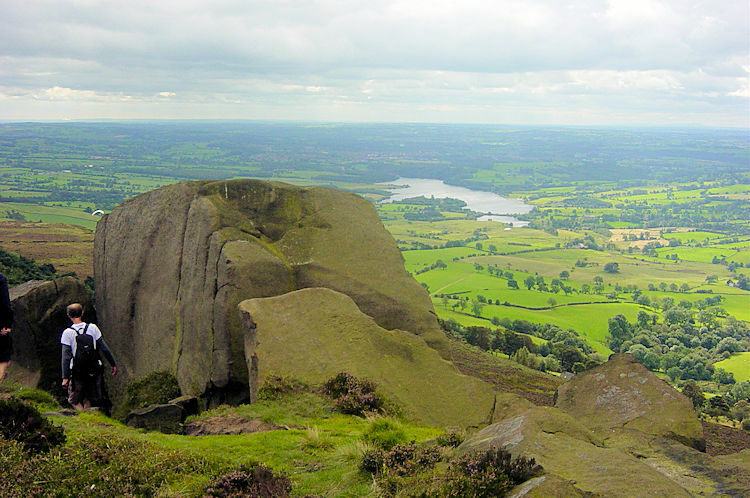 Derwent Edge is a Millstone Grit escarpment that lies above the Upper Derwent Valley in Derbyshire. The Millstone Grit forms the edge of the high peat moorland plateau on the eastern side of the valley above Ladybower Reservoir. 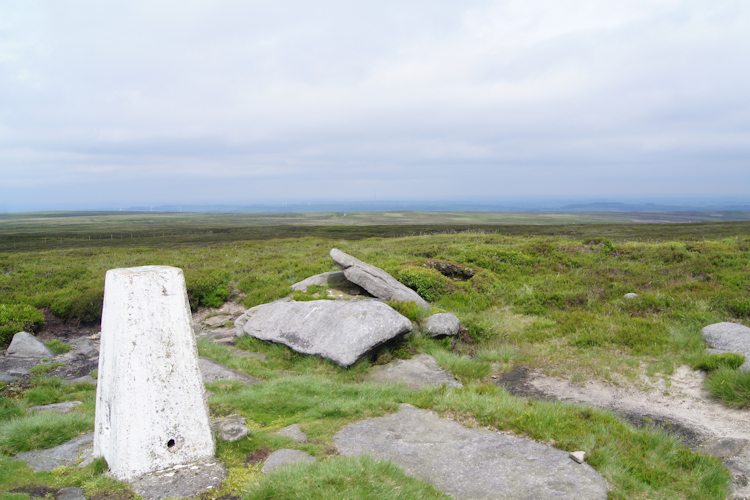 An OS Trig Point marks the highest point of the Edge at Back Tor. North of Back Tor the edge extends into Howden Edge and enters the county of South Yorkshire. Try this walk. Mam Tor is a hill near Castleton in the High Peak. It is also known as the Shivering Mountain on account of the instability of its lower shale layers. Indeed, in 1979 the continual battle to maintain the A625 road on the crumbling southern side of the hill was lost when the road officially closed as a through-route. Nearby are four show caves: Blue John Cavern, Speedwell Cavern, Peak Cavern and Treak Cliff Cavern. Try this walk. The Roaches is a prominent rocky ridge situated north of Leek. The ridge with its spectacular rock formations rises steeply to 505m. 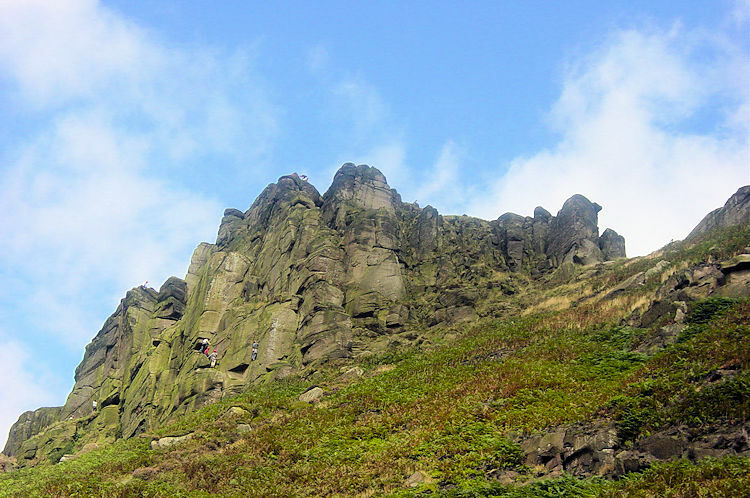 Along with Ramshaw Rocks and Hen Cloud they form a gritstone escarpment, which is very popular with hikers, rock climbers and freerunners. It is often very busy especially at weekends. The British Mountaineering Council maintain a mountain hut named in memory of Don Whillans in the area. Try this walk. Lose Hill is at the end of the Great Ridge that runs from Rushup Edge to the west (over Mam Tor, Hollins Cross and Back Tor). Myth says its name comes from the Battle of Win Hill and Lose Hill in 626. 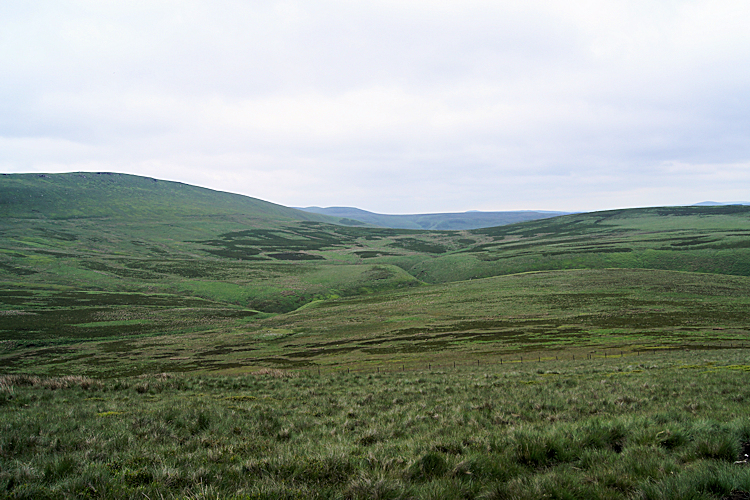 Prince Cwichelm and his father, King Cynegils of Wessex, gathered their forces on Lose Hill and marched on Northumbrians based on Win Hill. Despite superior numbers they were defeated by the enemy rolling boulders down on them. Try this walk. 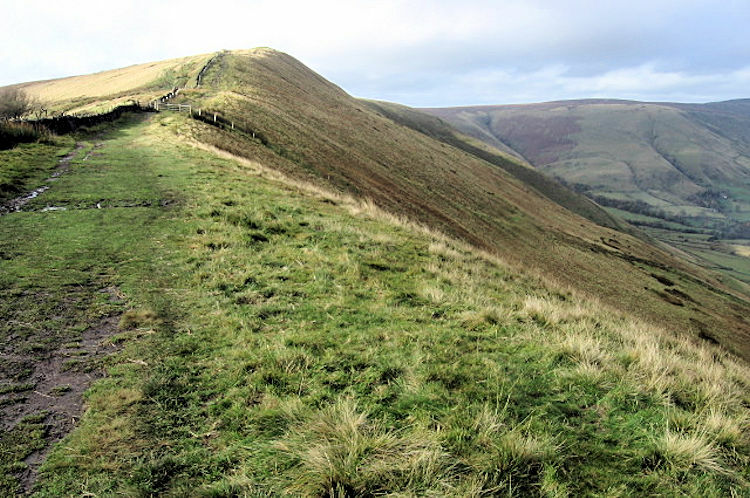 Eldon Hill can be climbed either from Peak Forest to the south or Castleton to the north. The approach from Castleton goes up Cave Dale with a return down Winnats Pass. The approach from Peak Forest is shorter and passes Eldon Hole on the way. The summit of the hill stands just 100 metres from the edge of the fenced quarry workings and gives good views with Mam Tor, Axe Edge Moor and the town of Buxton all well seen. 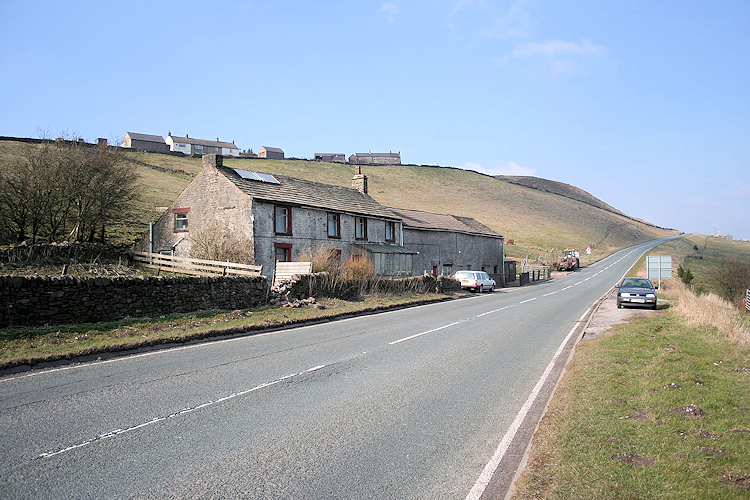 Win Hill lies north west of Bamford. It is almost surrounded by the River Derwent to the east, River Noe to the south west and Ladybower Reservoir to the north, but a ridge running north west links it to Kinder Scout. The Roman road from Glossop over Snake Pass and descends to Hope and the old Roman base of Brough in the Hope Valley, with Hope Cross, a marker post dating from 1737, at the highest point of the road. Try this walk. Stanage Edge is a gritstone escarpment famous as a location for climbing. The northern part of the edge forms the border between the High Peak of Derbyshire and Sheffield in South Yorkshire. Its highest point is High Neb. Areas of Stanage were quarried in the past to produce grindstones, and some can still be seen on the hillside-carved, but never removed. 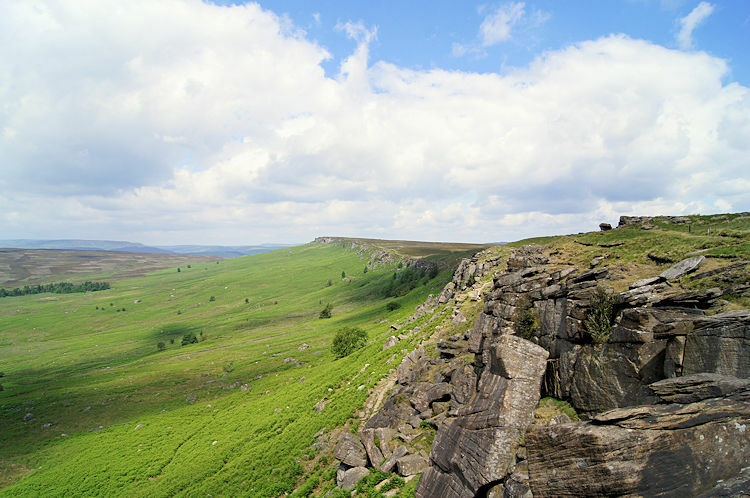 Stanage is a magnet for climbers and ramblers. Try this walk. Higger Tor is a gritstone tor in the Burbage Valley, in the Peak District of England. It stands in the county of South Yorkshire, about 200 metres from the border with Derbyshire, which runs along the nearest road, approximately 2 kilometres east of Hathersage. Higger Tor overlooks the hill fort of Carl Wark to the south east. 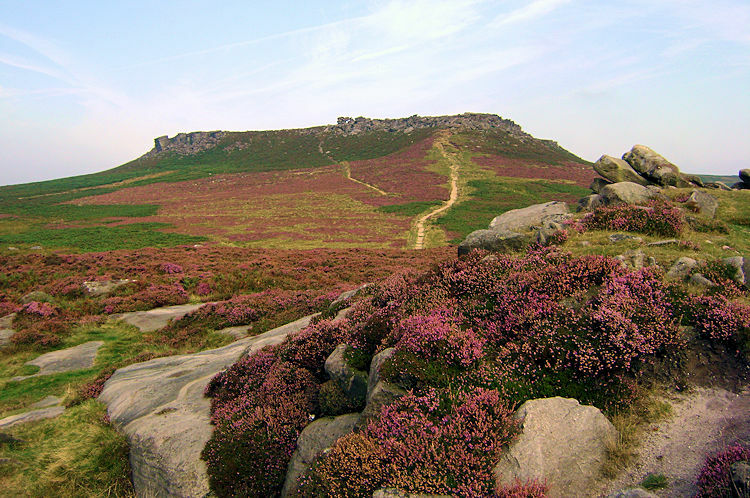 For a walk to Higger Tor the best time is late summer when the heather carpets the moor in purple bloom. Try this walk. 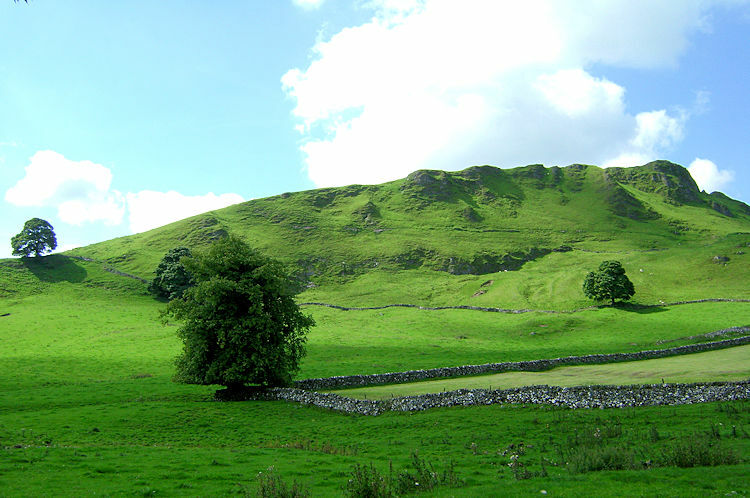 Chrome Hill is a limestone reef knoll on the Derbyshire side of the upper Dove valley. It is adjacent to the more distinctive but lower Parkhouse Hill. Chrome Hill was declared open access land under the provisions of the Countryside and Rights of Way Act 2000. However, the only access remains along a concessionary footpath. It is a Site of Special Scientific Interest and visitors are asked not to remove geological samples. Try this walk. Hen Cloud is an impressive, solitary edge which rises steeply from the ground below and is located beside the Roaches. 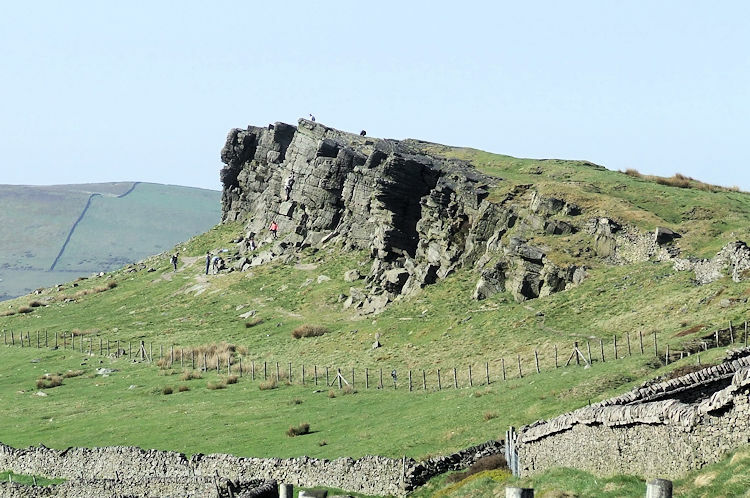 It is an impressive sight thats draws the attention of many travellers taking to the road from Leek to Buxton for as the driver ascends to the high ground Hen Cloud is directly in their eyesight facing them, an awesome sight. My first sight of it simply made me determined to climb it. Try this walk. Parkhouse Hill lies on the north side of the River Dove. 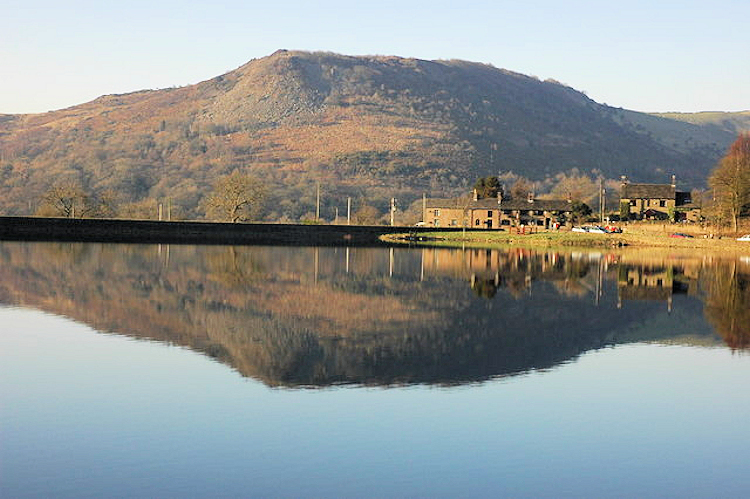 Geologically, the hill is the remains of an atoll which is believed to have existed during the Carboniferous period when what is now the Peak District was covered by a tropical sea. 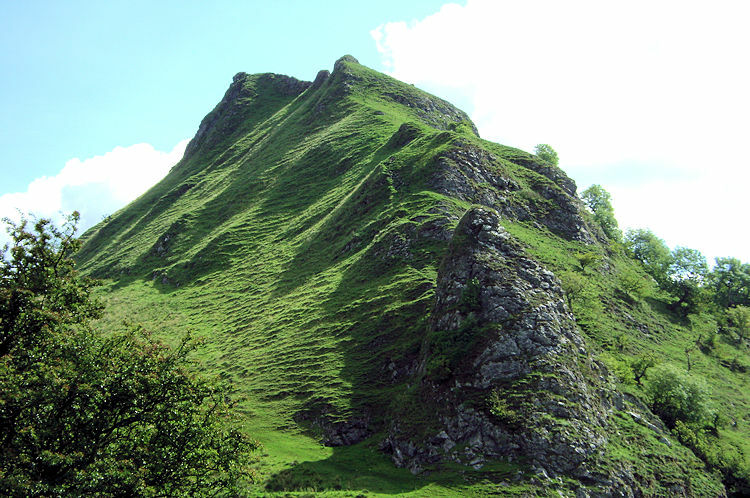 For many years access to Parkhouse Hill was difficult, as there was no right of way to the summit. 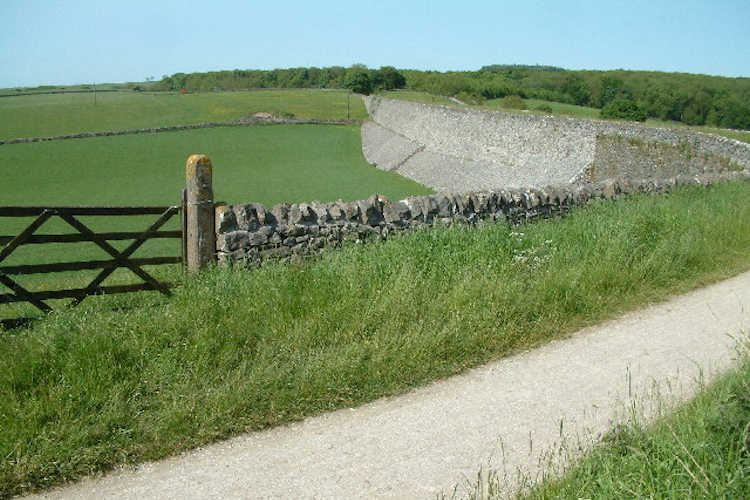 Access is now possible under the Countryside and Rights of Way Act 2000, as the hill is a designated access area. 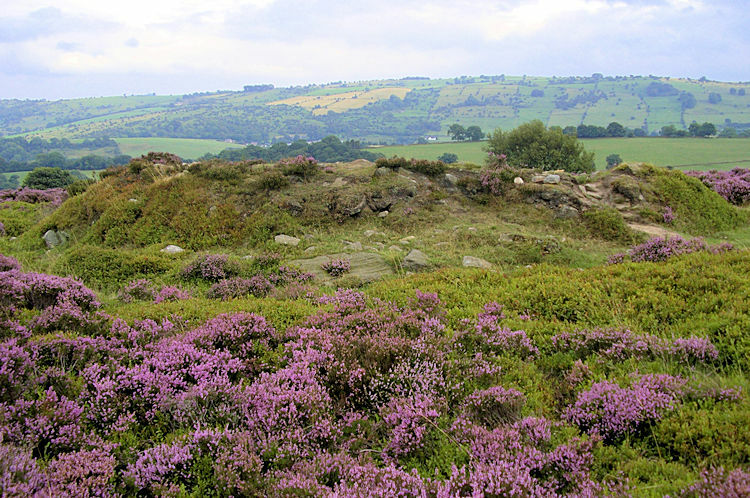 Stanton Moor lies between Matlock and Bakewell. It has four Bronze Age stone circles, of which the best known is Nine Ladies. To its north lies "Stanton Moor I" (the "North Circle"), and to its south are "Stanton Moor III" (the "Central Circle") and "Stanton Moor IV" (the "South Circle"). These other circles are largely overgrown and have few remaining stones. A further circle, Doll Tor, lies a short distance west of the moor. Try this walk.